Josh Evans began the 2018 Asia Pacific tour with intent; back-to-back finals finishes at Newton’s and Seaside. He became the fourth Australian to claim the Asia Pacific continental title by maintaining great consistency. He was the only racer from the region to qualify in the top six of all Asia Pacific races, and his lowest finish was sixth. First year doing the entire Asia Pacific tour, how was it? Oh man it was incredible. I don't think I stopped smiling the whole time. I think the people I shared it with really made it for me though. You were consistent with finishing in the top 6 both in qualifying and races. What helped you in doing this? Still early days but you’re currently sitting on the 3rd spot in the World Open category. What races will you be at this 2018 World tour? I'm heading over for the entire Euro tour in just under a month, so Transylvania, Kosakov and Verdicchio for sure. Ill see how I'm going after that, might send it to South America cos that looks epic. We'll have to wait and see. 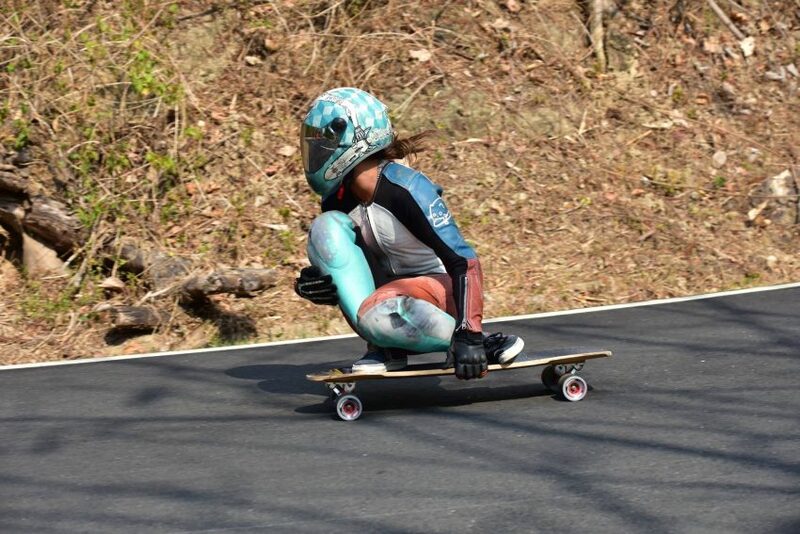 Whats your favorite thing about skating? Apart from the skateboarding itself, definitely the people. There's so many rad, interesting and different people who all just stoke out on the same thing. Favourite race on the Asia Pacific tour? Oh that's hard, Seaside, Moonrock and Newtons all had awesome vibes going down but Arirang was one of the best roads I've ever ridden. Probably Newtons was my favourite altogether. I remember when you found out in South Korea that you just won the 2018 Asia Pacific continental title and how stoked you were! Now that it has sunk in, what do you have to say about your accomplishment? Still frothing so hard man! It was really cool because I decided late last year I was going to win it so turning it into reality is a great feeling. Do you have anything to say to those supporting you and rooting you on for 2018 World tour? Just a huge thank you to all those who help me do what I love. Venom, Alsen trucks, Seismic, Atopic, All Downhill Distribution, Mum n Dad and of course, da Boiiiiis! Congratulations again Josh Evans on taking the 2018 Asia Pacific Continental Championship! Finishing second in the continental championships is Harry Clarke (Australia) with top 8 finishes in the first three races and then sensationally making it into the finals at Arirang in South Korea. 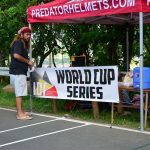 Last year’s continental champion, Mitch Thompson (Australia) had early exits in the Quarter Finals of both World Cups that severely affected his chance for back-to-back continental championships. He finished third. In the Women’s Asia Pacific continental championships, a Kiwi has been racking up the titles. Elissa Mah (New Zealand) now holds four straight years of being the Women’s continental champion. Ayumi Oride (Japan) and Abigail Viloria (Philippines) finished second and third. 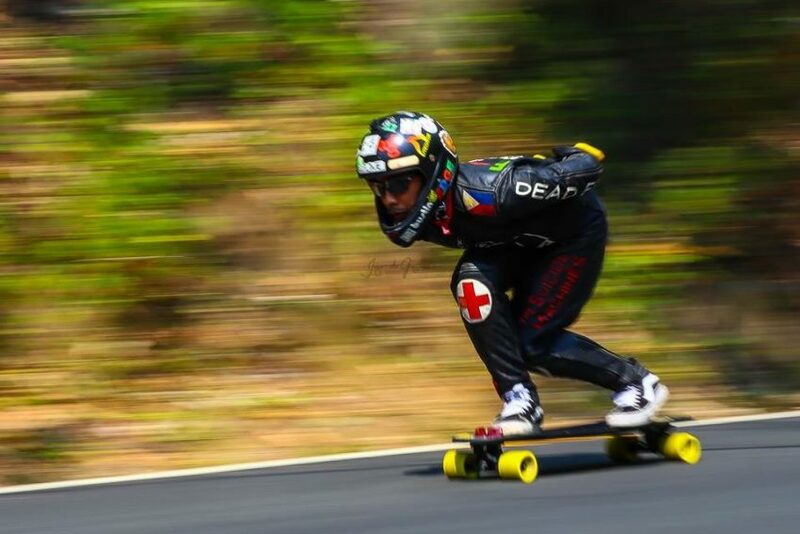 In the Juniors Continental Championships, Sebastian Chanco (Philippines) became the first ever Filipino to get an IDF continental title. Finishing first in two Juniors races was enough for him to take the 2018 Juniors top spot in the Asia Pacific region. 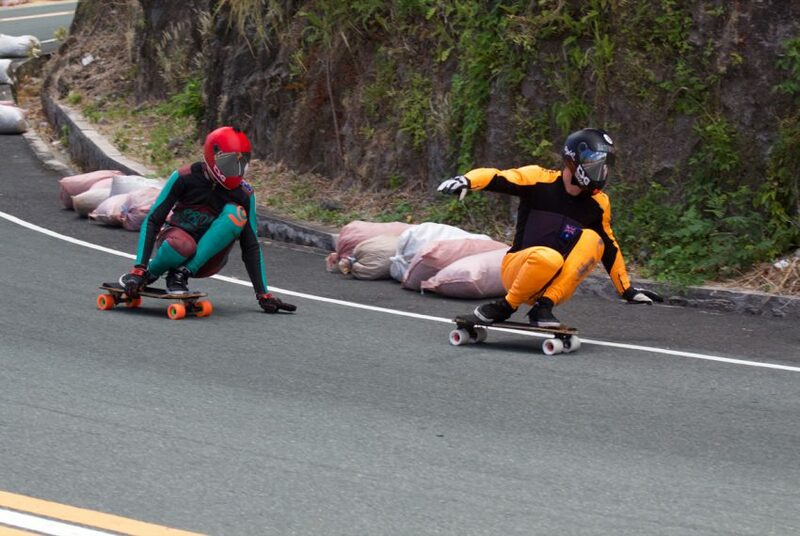 Jan Bryan Figueroa (Philippines) and Finn Cantrill (Australia) finished 2nd and 3rd. 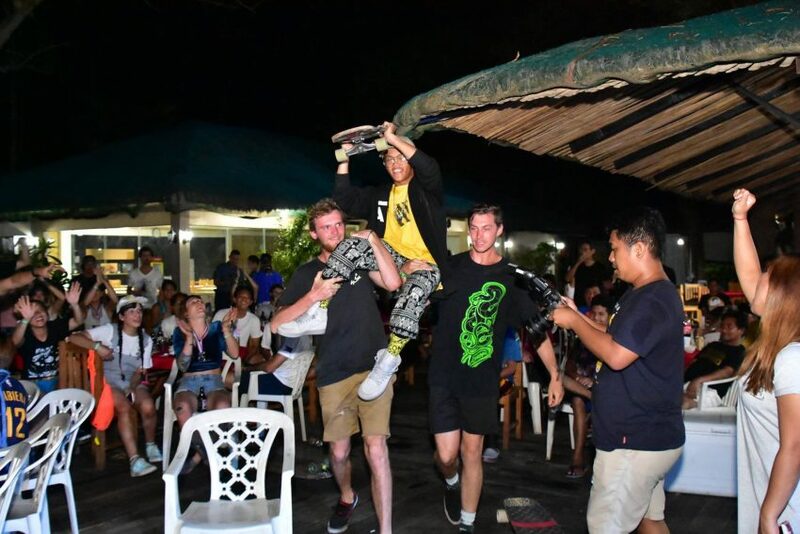 Harry Clarke and Josh Evans carrying Sebastian Chanco to his Asia Pacific Juniors Continental Championship title. In the Masters category another Filipino also tasted the top spot for the first time. Fritz Siason (Philippines) finished second in both Keeping It High races and with that he secured the Masters Continental Championships. Caloy Sambrano (Philippines) finished second while Aaron Lu (Taiwan) and 2two-time Masters continental champion Ben Hay (Australia) tied for third. 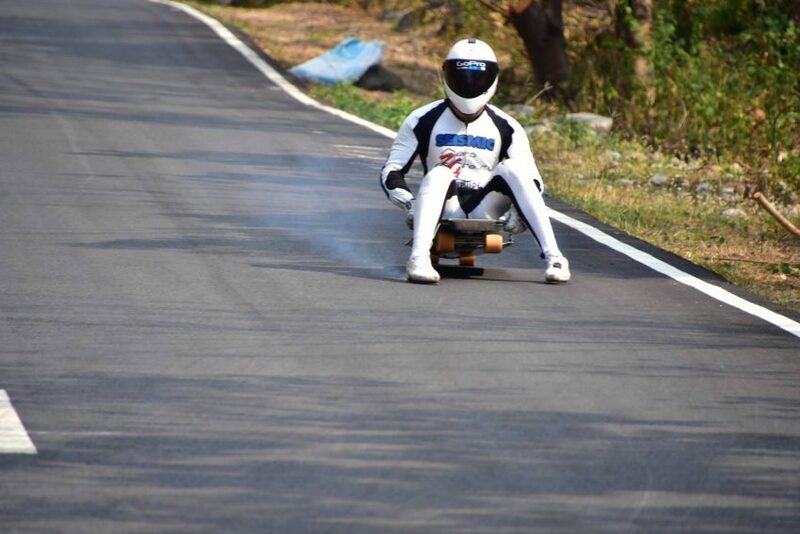 Abdil Mahdzan (Malaysia) grabbed the luge Asia Pacific continental championship for the third straight year. Abdil finished first in three of the four races of the tour. Australians Dennis Andrado and Graham Britain finished 2nd and 3rd.